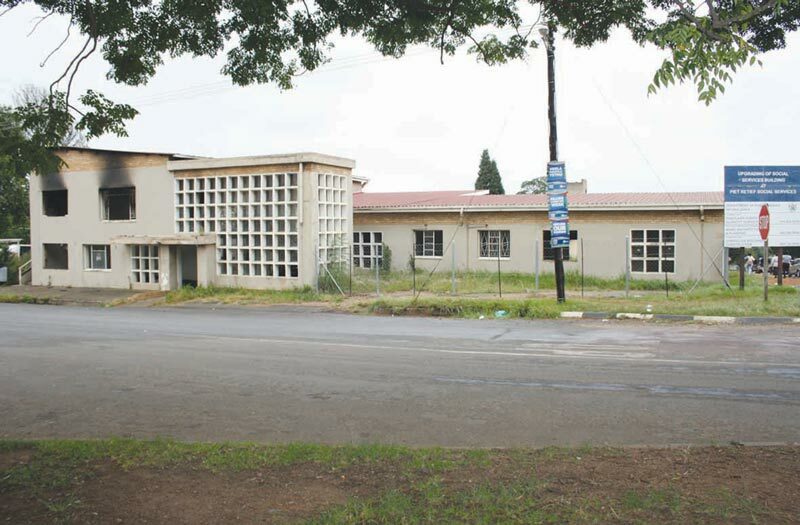 The building on the corner of Joubert – and Kruger Street has been downgraded to “junk status” two years ago, yet it is still standing, without any declaration from representatives of the Department of Public Works as to when the building will be demolished. On 9 June 2017, the Excelsior News reported on the old SASSA building, which was already in a very dilapidated state. During that time, we had a meeting with Cllr I. Brussow, who said that at the time, the building was not completely unsalvageable, and that there might be some sections that could be repaired. 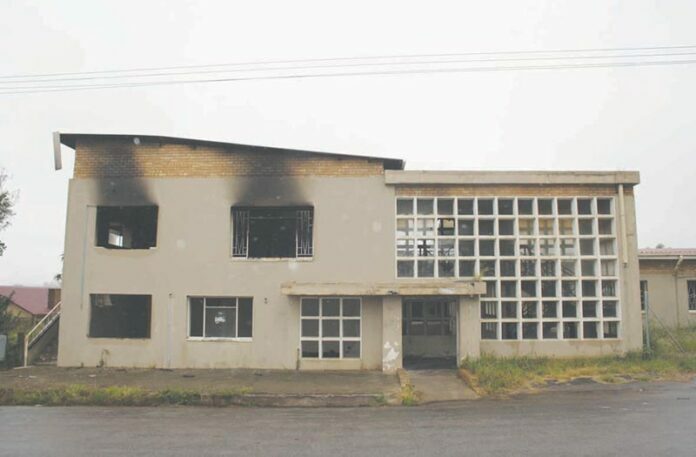 However, after a meeting with the District Manager of the Department of Public Works, Mr Mnguni of Ermelo, who did a thorough inspection of the building, it was found that it should rather be demolished as it was a “safe house” for criminal activities and it was a safety – and health hazard. In November, 2017, the Excelsior News again reported on this building, when criminals stole some of the window frames and homeless people were evicted as they lived inside the unsafe building, and caused problems. At that time, positive feedback was received from Mr Mnguni who would have discussed the matter further with various departments involved. 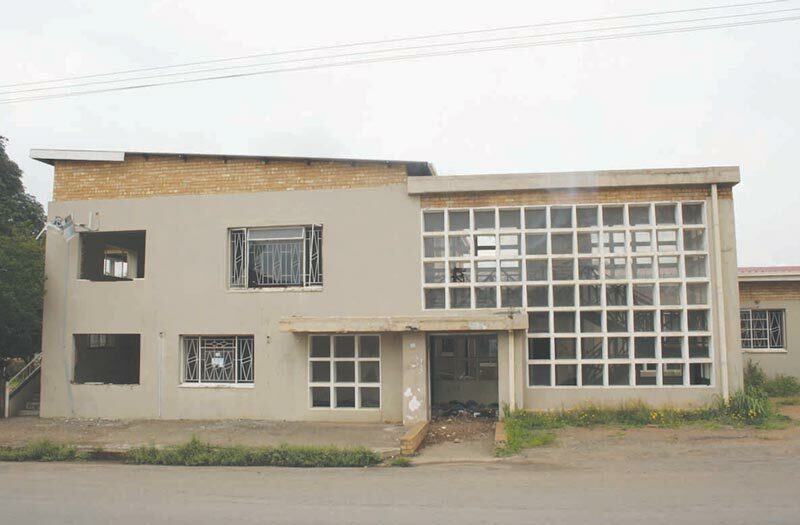 On Monday, 25 March, Mr Anton Nortje, Head of the Mkhondo Fire and Rescue Unit informed the Excelsior News that this old building is now really becoming a headache. According to him, the emergency personnel have to attend to problems at the building on regular occasions as the people who stay there, often set the place on fire. It is being presumed that they try to burn cables to extract copper, which they can sell, but by doing so, they often cause fires that they cannot control. All windows and valuable infrastructure have already been removed over the past few years, and therefore Mr Nortje also suggests that the responsible department should now seriously take action and demolish the building. The Excelsior News corresponded with the Department of Public Works on Tuesday, 26 March, and we are awaiting feedback regarding this matter.